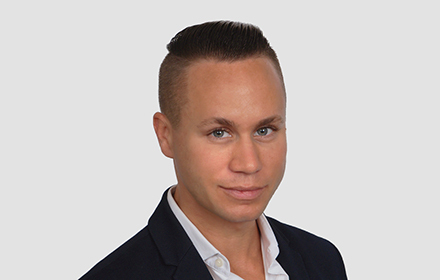 Christopher T. Perré is an Associate in the Miami, Florida, office of Jackson Lewis P.C. His practice focuses on representing employers in workplace law matters, including preventive advice and counseling. Mr. Perré advises and represents employers in a broad range of employment law matters, including those involving discrimination and harassment, wage and hour, wrongful termination, whistleblower and retaliation claims. While attending law school, Christopher was a Senior Editor of the Berkeley Journal of International Law and clerked for the South African Human Rights Commission in Cape Town, South Africa. Christopher specialized in international litigation at Columbia Law School and in international litigation and arbitration at the law school at l’Institut d’Etudes Politiques (Sciences Po) in Paris, France. Prior to joining Jackson Lewis, Mr. Perré practiced at an international law firm in New York City, in the Labor & Employment Litigation group at a local law firm in Miami, and served as a Development Consultant to the United Nations Development Programme.